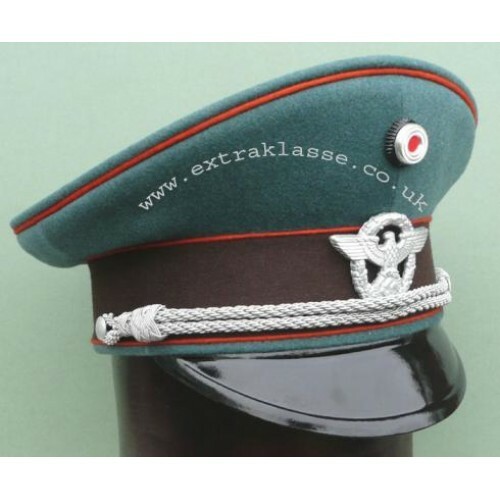 Police green top with Gendarmerie orange piping, brown band, aluminium cap cord & buttons, black japanned vulcan fibre peak. Sold without insignia, select separately. Made when ordered in Germany by Michael Janke. Copyright © 2018 Extra Klasse. All rights reserved.